The Southern African Development Community (SADC) has launched an appeal amounting to US$3,2 million to support the humanitarian needs and disaster response recovery for millions of people affected by Tropical Cyclone Idai in its three of its member states — Malawi, Mozambique and Zimbabwe. 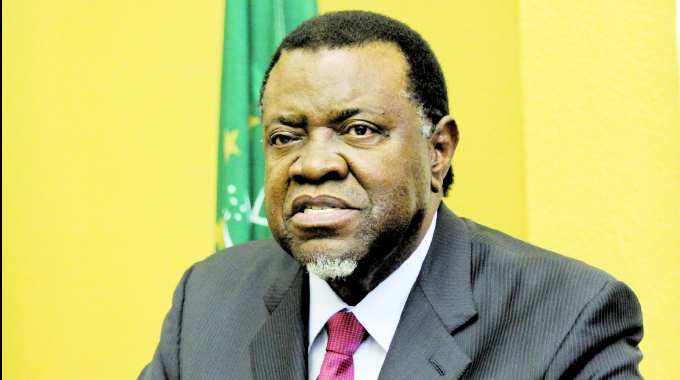 Officially launching the SADC Regional Appeal for Humanitarian Assistance in response to tropical Cyclone Idai in Namibia, SADC chairperson and Namibian President Hage Geingob said the appeal was based on national humanitarian disaster declarations by the three member states. Dr Geingob said the cyclone resulted in extensive damage to economic and social infrastructure, which has immediate, medium-term and long-term consequences. President Geingob said the generated money will be channelled towards saving more lives and provide the basic needs and services, protecting human dignity, in particular for women and children, provide access to basic health and nutrition needs and services. The funds would also promote early recovery and rebuilding of lives and livelihoods and strengthening the coordination capacity at national and regional levels. On Tuesday, President Mnangagwa sent a US$612 million international appeal to help rehabilitate and reconstruct damaged social and economic infrastructure in the Cyclone Idai-ravaged areas of Chimanimani, Chipinge, Bikita and Chikomba. To date, about 839 lives have been lost in the three affected countries, while 2 347 people have been injured. The cyclone also resulted in extensive damage to infrastructure as more than 3 344 classrooms have been destroyed, affecting more than 150 854 pupils. Three hundred and seventeen accommodation centres have been established to temporarily house the affected, which are currently housing about 201 476 people, while 778 822 hectares of cropland and crops have been destroyed. Access to healthcare has been disrupted as more than 54 health facilities were also destroyed by the cyclone. The lack of access due to damaged road infrastructure and flooded areas continue to impede the provision of assistance to the affected communities. Cyclone Idai developed on March 5, initially as a tropical depression near Maganja in Mozambique. It moved to Niassa Province within Mozambique and turned towards southern Malawi on March 6, where it resulted in heavy flooding. The tropical depression returned to the Mozambican Channel, where it gained momentum and became a tropical cyclone. It curved back to Mozambique coastline and made landfall near Beira City. It further propagated westwards up to eastern Zimbabwe on subsequent days, with highly destructive impacts. Cyclone Idai is classified as the worst cyclone to hit the SADC region in recent history.